Resource constraints continue to push the need for effective sustainable architecture, construction and project management solutions in the face of growing urban pressures. On the plus side, technologies that were previously reserved for only very high-value industries such as the aerospace and oil and gas sectors are becoming more accessible to a much broader range of professionals as the price of these technologies decrease. This is according to Mike Aldous, an associate at Mott MacDonald and African BIM champion scouting emerging tools and technologies to drive efficiency and optimisation. He, however, points out that the construction industry has thus far been on the slower end of adapting to these new technologies. According to IHS study involving several European countries, the United Kingdom and the United States, looking at productivity improvement over time, productivity in manufacturing has just about doubled over the past two decades, while the construction curve remains flat. “Large capital projects typically take 20% longer to finish than planned, are up to 80% over budget (considering the average percentage of revenues), and research and development spend in construction is very little compared to other industries,” he states. One of the most visible changes at the moment is in the area of photogrammetry, the use of photography in surveying and mapping to ascertain measurements between objects. With a good selection of photos on a smartphone, one can build a meshed 3D model of any environment. And just like that, gone are the days of having to spend tens of thousands of rands on professional surveyors – one can literally now stitch an image of a building together on your smartphone. Big architectural firms are already putting a lot of time, effort and money into these technologies and incorporating them into their projects. On a recent project in Sandton, the architects used photogrammetry to take photos of the site surroundings and created a 3D model into which the actual Revit model was imported. This creates a very realistic environment and more purely defines the interconnection between new building sites and their surroundings. It is also good for looking at aspects such as overshadowing, sun angles, traffic planning, construction laydown areas and more. And when it comes to presenting proposals, people respond far better to the visual interaction than to a set of engineering plans that not everyone fully understands, however impressive they may be. Moving beyond the x-, y- and z-levels of 3D modelling, 4D and 5D building information modelling (BIM) starts to incorporate the application of project management aspects. 4D typically relates the actual construction programming to the 3D model, while 5D parametrically links the BIM design models with the project cost plan. Since the budgeting is inherently attached to the object, one can now predefine, for example, what the cost of concrete will be in certain applications. So effectively, it is possible to see how much money will be spent on a project as the Revit model is being built. 5D BIM is still quite complex and at the moment is mostly used on megaprojects such as airports and stadiums. It is not something that one will find in your run of the mill projects yet, but as the technology becomes more accessible, and clients and contractors start demanding that type of service, it will force consultants, architects and quantity surveyors (QSs) to deliver that. At the moment the international demand is far bigger than locally. Taking another step forward, 6D involves the operational cycle of the building as well, where all the facilities management requirements are attributed to the actual 3D elements. The whole idea is to preserve the value of the data and minimise the loss of data at each point of handover to add value to the operations cycle at the end of the day. 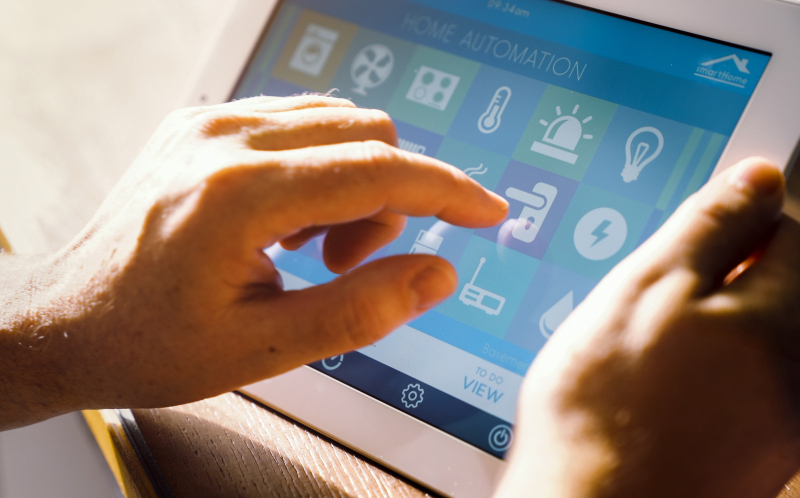 Connected devices in “smart” homes can be accessed and controlled through one central point such as a smartphone or tablet. At the same time, useful data can be collected. With most software providers offering cloud platforms today, a person sitting in a coffee shop is capable of doing the exact same work as someone in a large office. Because they have access to the same cloud computing platform, they are not limited by the power of their laptop anymore. One can upload a Revit render while having coffee and get it back in exactly the same time as when sitting in a fancy office. Autodesk, for instance, has reinvented its entire business model to be almost completely cloud-focused. Microsoft with its Office 365 platform is another example. And these platforms are accessible across different devices since a web interface is used to access someone else’s infrastructure. 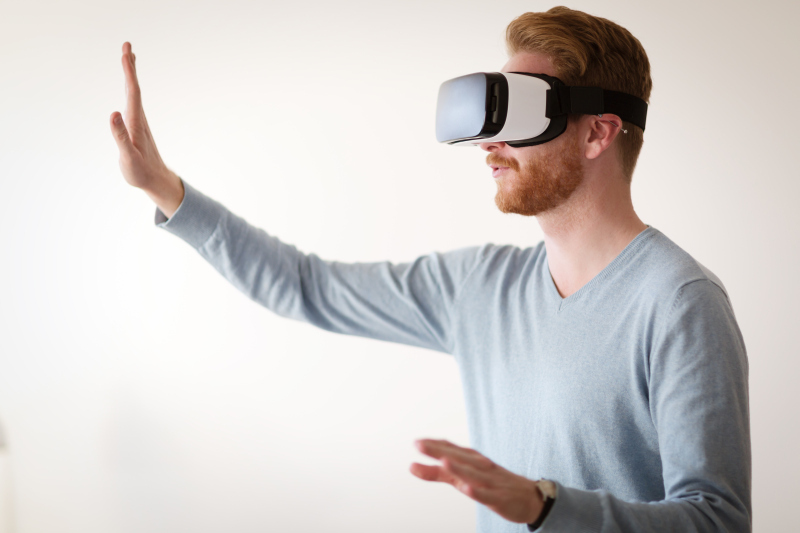 This also means that small architectural firms are not lumped with the cost of continuously having to upgrade hardware to keep up with software developments, which is particularly important when considering the massive cost of hardware for virtual reality applications and 3D environments. Priority services also allow companies to stratify their revenue streams, prioritise work and get a pay-as-you-go type software experience, such as Autodesk offering a priority rendering system, charging credits based on the urgency of a request. On the mobility side, for companies working in different countries around the world, the practicality of deploying and licensing in different regions is often overcome by having this cloud-based mobility service. It means that team members sitting in remote offices can do real-time work on the same model, eliminating emailing backwards and forwards with confusion on which is the latest version. For the mechanical and structural engineers, architects and the rest of the team to be able to plug into the same Revit models and see each other’s updates on a real-time basis means that from a clash detection and coordination point of view, these can be ironed out through a digital coordination process, rather than having to wait until a coordination meeting. There is a huge amount of flexibility in working this way. More and more conventional engineering and city environments are becoming “smart”, and the backbone of the smart city move is to connect everything and in doing so, collect useful data. The information has always been there, but hasn’t been available for interpretation, so by collecting the data and applying intelligent analytics and big data mining to it, municipalities and building owners will obtain much greater decision-making power as well as far better efficiencies out of existing infrastructure. A good example is in Germany, where the water infrastructure is getting older. In conventional water systems, the pressure in pipes at about two- or three-a-clock in the morning, when nobody is using any water, is incredibly high, causing pipes to burst. To solve this problem, telemetry links with pressure-reducing valves are installed to reduce the pressure in the network at certain times or under certain conditions, limiting leakage out of the system. As water losses and maintenance costs go down, the existing infrastructure’s lifespan is extended. In Los Angeles in the United States, air-quality monitoring equipment was installed on street lights, collecting data through the street-lighting network. Also in Christchurch, New Zealand, Mott MacDonald worked on a water-monitoring project which, after the earthquakes last year, enabled them to compare the pre-earthquake flow data in the underground pipe system with post-earthquake flow data and thereby identify which infrastructure was damaged without having to dig up hundreds of metres of pipe. This is a far more isolated cost-efficient way of monitoring and managing systems. And as infrastructure becomes more expensive to replace, cities will be forced to become more intelligent about how they manage their infrastructure assets and building owners their buildings. However, it is far easier to do it from the outset rather than to retrofit existing environments, so even though cities might not be there yet, at a precinct level, there is a huge focus on creating smart-city environments from scratch. New developments such as Menlyn Maine and Waterfall Estate are examples of enabling environments that allow newer technologies to be implemented. Most of these new precinct developments have full fibre on the backbones through which one can connect to security, communications, entertainment and much more. By digitising infrastructure and buildings, one provides model that can be expanded over time, creating far more efficient and resilient environments. 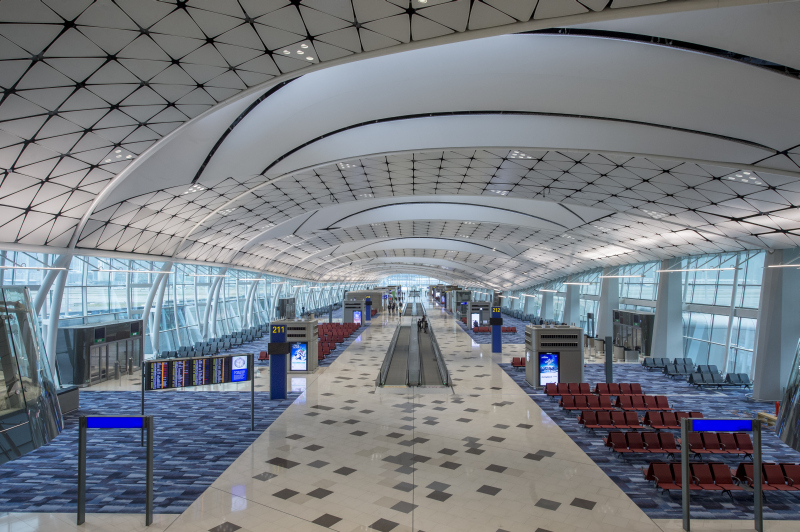 The new airport concourse at Hong Kong International Airport is a smart and green facility that applies the latest technology and integrates environmental considerations into airport growth. The project, a Mott MacDonald-Arup joint venture has won the Best Airport/Port Project category in Engineering News-Record’s Global Best Projects Awards 2016. The documentary “How much does your building weigh, Mr Foster?” is a tribute to the work of renowned architect Norman Foster from Foster + Partners, but it also highlights the question of the materiality of structures. From this point of view, as more and more new technologies become main stream, it opens up many new opportunities around how buildings are designed and what materials they consist of. With these, it will become easier to dematerialise buildings in a large way. For example, one won’t have to construct a heavy concrete beam, but thanks to modern adhesives and preservative technologies, a renewable timber beam could have a lifespan just as long and is far more environmentally efficient. Graphene, which was discovered in 2004 by two Nobel Prize winners, is sourced from pure carbon and is highly inert, innocuous and nontoxic. It is currently used in a number of innovative construction applications including paint, but many more innovations are expected. Another world first is “Sharklet”, a technology inspired by the shape and pattern of shark skin that inhibits bacterial growth through its distinct pattern. It contains no toxic additives or chemicals, and doesn’t use antibiotics or antimicrobials, it is just the structure of the pattern that prevents bacteria from attaching, colonising and forming biofilms, a potential leap in medical facilities ongoing battle with infection control. Robotics is also going to affect the industry and leave a large part of unskilled labour redundant. In Japan, many of the car manufacturing plants replaced artisans and welders with robots, but thanks to their level of education, those workers could be trained to instead programme and service the robots. In South Africa, the challenge will be to redeploy those people who are not properly educated and will put even more emphasis on the importance of proper education. Self-assembling materials are another innovation that allows designs to be pre-programmed to, under certain stimuli, take on a particular shape. A lot of this technology filters down from space exploration programmes and the aerospace industry. The first commercial application of aerogel insulation, for instance, was on the Mars Rover. But over a period of 15 years, the ultra-high-performing, lightweight insulation material has worked its way down and is now available commercially in the building sector. Innovation is happening to solve challenges such as how to pack up a building into a space ship, send it into space in the most efficient form and reassemble it with virtually no human intervention on the other side. Also in 3D printing, NASA is looking at using moon dust and various polymers to be able to print structures, tools and more. And much of this innovation can eventually be used in construction right here on earth. The adoption of new technologies and different ways of working is not always a seamless transition and can be disruptive. But the cross-over point is approaching, where data-analytic programming will become second nature and working alongside various robotic systems will become the new normal. Each generation will acclimatise to the technology that they are exposed to. Technology is accelerating at an incredible pace, clients’ expectations are changing, and big architectural and construction firms are starting to put a lot of time, effort and money into incorporating as much innovation as possible into their businesses. At the end of the day, the main goal should remain to deliver a built environment efficiently and sustainably. Full thanks and acknowledgement are given to Mike Aldous from Mott MacDonald for the information given to write this article. Caption main image: Wearable technology such as virtual reality applications are one type of technology that is rapidly being adopted by architectural and construction firms.